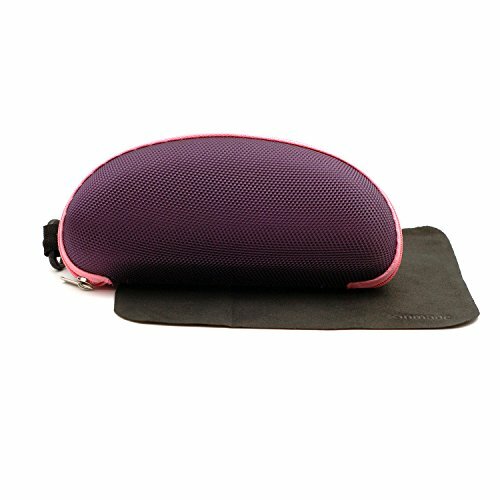 XINMADE Hard Eyeglass Case with Zipper & Clip is a durable sporty sunglass case that can attach to your belt loop or backpack. It is made of EVA foam, which is very lightweight, only 2 OZ. and durable, easy to carry around and great for outdoors and sports. It is suitable for medium and large size sunglasses. We believe in our products. That's why we offer an 18-month warranty, including customer satisfied return and change policy, with a 100% Money Back Guarantee. Lightweight EVA foam, only 2 OZ.